With the appearance of the first green leaves budding on branches comes my kids' summer vacation countdown. 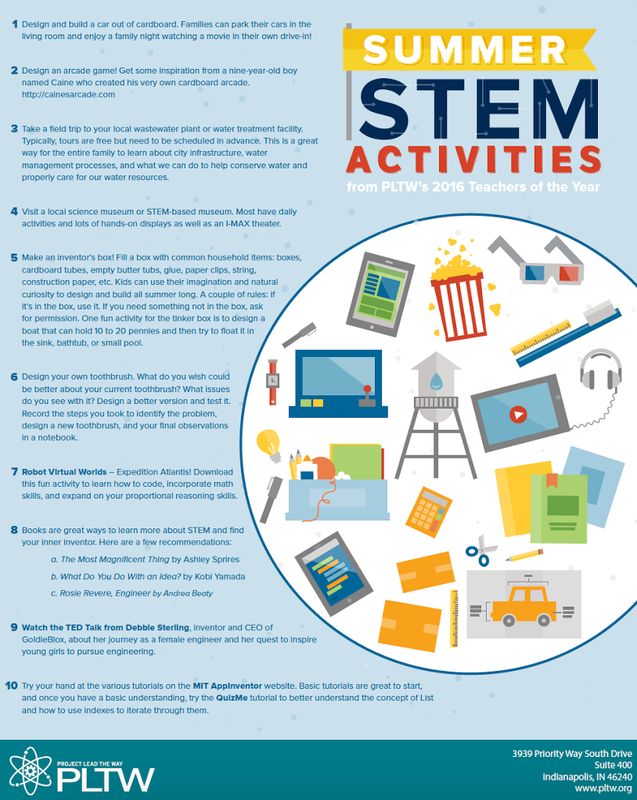 Granted throughout the school year, our kids work hard, summer vacation is their highly anticipated time to play hard. Sadly, for too many students, the time away from their academic routine potentially results in harmful learning loss. 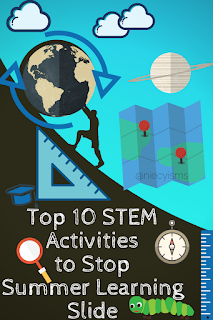 Project Lead The Way challenged their 2016 Teachers of the Year to comprise a list of their top 10 STEM activities to stop summer learning slide. Thank you to the team from Project Lead The Way for the courtesy of providing promotional editorial content for editorial purposes. -students can lose up to 2 months of reading & math skills? -teachers spend 4-6 weeks covering old material each new school year? -students perform lower on standardized tests at the beginning of the year than the end? -fortunately, even minimal mental engagement can prevent losing ground? Summer months offer the opportunity for parents and family to engage with their kids during this break, developing a better sense of their individual interests, exposing them to new ideas, fields of interest, and enjoying quality time together. 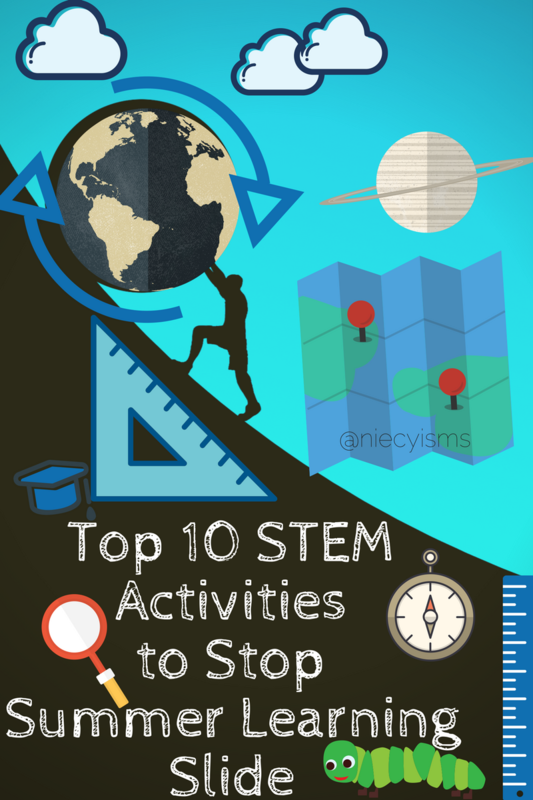 Here's a list from Project Lead The Way's 2016 Teachers of the Year featuring a list of their top 10 STEM activities to stop Summer learning slide. Project Lead The Way (PLTW), is the nation's leading provider of STEM curriculum used by more than 9,000 schools, whose teaching model is based on learning by doing.